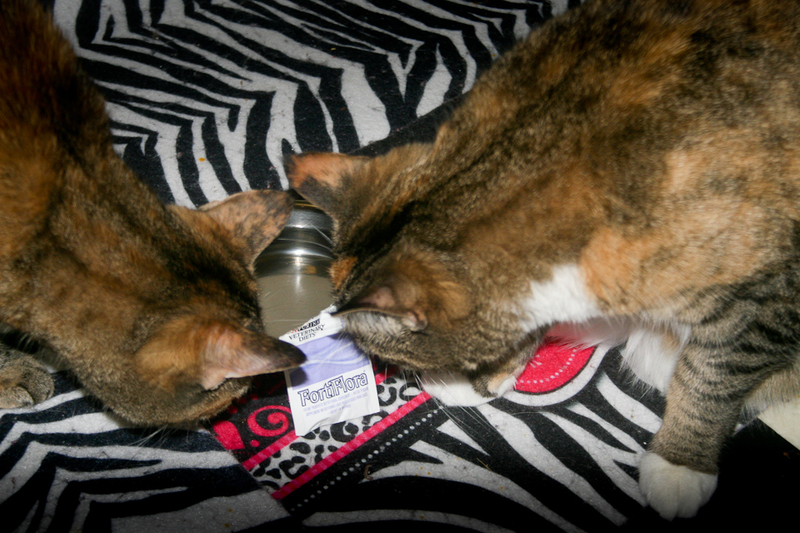 Peaches & Paprika have used Fortiflora for 3 years as a probiotic nutritional supplement AND appetite stimulant and just love it! 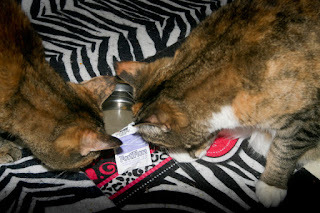 We were therefore quite thrilled to be able to review it as part of Chewy.com's Blogger Outreach Program. #CHEWYINFLUENCER. 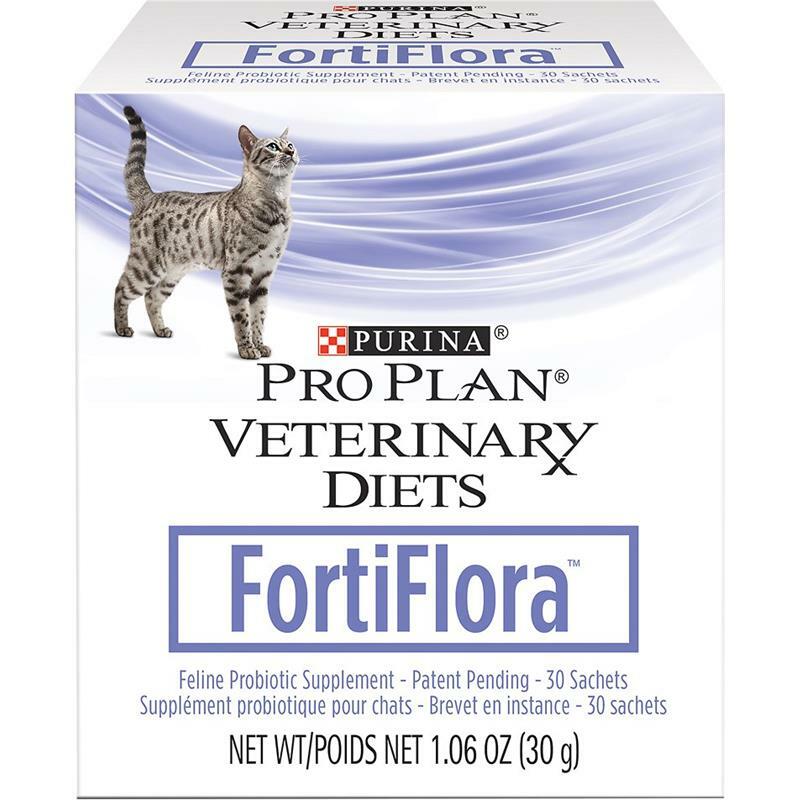 Purina Pro Plan Veterinary Diets Fortiflora probiotic supplement has been proven to promote intestinal health and balance as well as a healthy immune system. More details on this important supplement at the end of our review. Our experience: We started using Forti Flora as a probiotic at the end of a 10 day antibiotic run for Peaches & paprika. You sprinkle it on their food and it's easy to use. it did a wonderful job of balancing out their shell-shocked digestive system with live active cultures & vitaminsbut a bonus happened: They love love loved it! I still use it as an appetite stimulant for Paprika, who is my picky princess. There are many foods which are good for her but she will not eat unless HER favorite Forti-Flora is sprinkled on it. 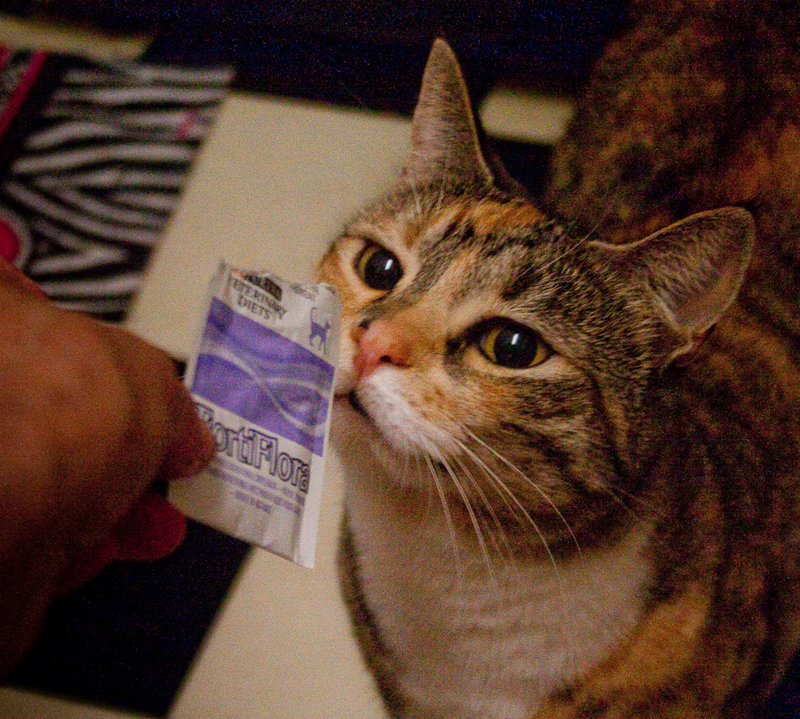 Peaches loves it too, but Peaches will eat just about anything! 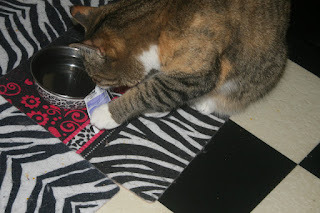 I really do credit Fortiflora for keeping "the girls" happy from a gastrointestinal point of view and hope some of you whose cats have gastro problems, OR poor appetite will try it! We received no compensation for this review. 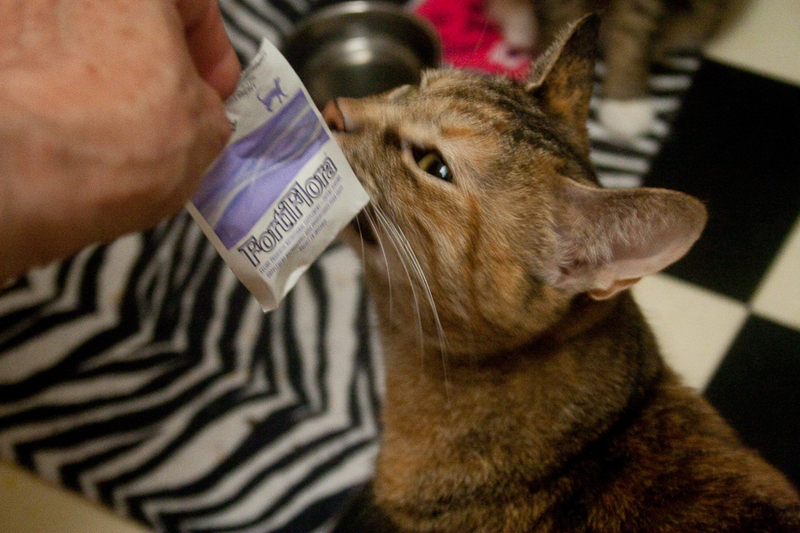 Fortiflora was sent to us by Chewy.com as part of their Blogger Outreach Program in exchange for an honest review. Our honest review is that it's a great product that has stood the test of time with us. Gosh - I think I'll ask my Mom to get me some of this stuff.....at my age I'm getting VERY PICKY about food and have tummy issues as well which are part of my hyperthyroidism "issues" even though I'm on meds for that. Thanks for the information!!!! We've used Fortiflora too when we were on antibiotics. Great review. I need to get some of this for my kitties. 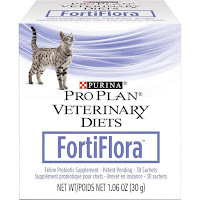 We've never had to use Fortiflora and Mum is hoping we will never have to unless our vet thinks it is necessary. That does sound like good stuff. And a very nice review. You all have a great day. What a great review! I am so glad that FortiFlora does the trick for you, Peaches and Paprika! My pup Astrid has a sensitive digestive system, and we always have canine FortiFlora on hand for her. It seems to work wonders for her, too! Purrs (and barks)! We've used Fortiflora in our house too. Glad it worked for you! Oh wow that stuff is the bestest, we've all tried it at various times! We've never tried it. Mommy says it may help with my constipation.